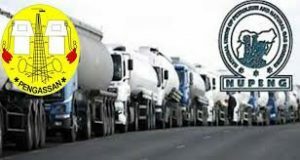 NUPENG, PENGASSAN, urge President Buhari administration to shun counsel on removal of fuel subsidy as Federal Government denies plan – Royal Times of Nigeria. Workers in the oil and gas sector have urged President Muhammadu Buhari to shun the call on the federal government to remove fuel subsidy. They said the counsel is capable of destabilizing the nation’s economy. The Nigeria Union of Petroleum and Natural Gas Workers (NUPENG) and the Petroleum and Natural Gas Senior Staff Association (PENGASSAN) gave the advice in a statement in Lagos. The statement was signed by PENGASSAN General Secretary, Mr Okugbawa Lumumba, and NUPENG General Secretary, Afolabi Olawale. 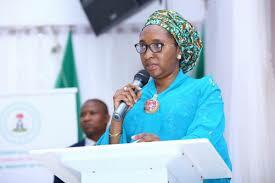 The International Monetary Fund had last week called on the Federal Government to remove fuel subsidy as one of the means to shore up the nation’s revenue base. But in the statement, the oil and gas unions said the IMF’s advice on how to recover Nigerian economy is worrisome, is devoid of human feelings and be counter-productive. The unions also noted that the IMF advice had created panic in the country with associated hoarding of petroleum products, panic buying, as well as rising cost of goods and services in the country. While also cautioning against stringent reforms in domestic revenue mobilisation including increase in VAT, PENGASSAN and NUPENG appealed to President Buhari to put in mind the current hardship the people are going through in the collective journey to economic recovery.